B.E. Ditsch spins a tale of friendship and suspense. Imagine the power women can have when they combine their brilliant beliefs and insights. With B.E. 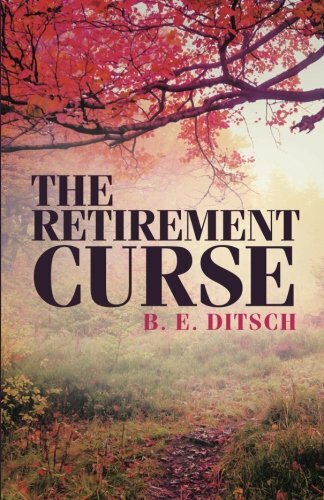 Ditsch’s new novel, The Retirement Curse, suspense lovers get to read about a close circle of women and how they come to find and attempt to solve a series of killings. The women of this book are divorced, widowed, and working hard to pay the bills for household needs. Often, they have to miss their children’s important school events. Suddenly, a serial killer enters the picture. People start dropping dead one by one. Highly cunning and intelligent, this comedic thriller is about a group of women working to figure out who the mystery killer could be. “I wrote this story to include all the necessary characteristics of a good novel: greed, evil, suspense, comedy, as well as important life values,” Ditsch says. With plenty of rich characters, Ditsch’s new mystery is going to be hard to put down until the last chapter is read. If you want to know more about the new book by B.E. Ditsch, come visit BookExpo America 2016 from May 11–13, 2016 at MacCormick Place, Chicago. Other great selections can also be found throughout the entire event. Book copies are available at www.amazon.com, www.barnesandnoble.com, and all other online book retailers. B. E. Ditsch is a very interesting, fun-loving woman with a bit of a devious side. She currently works in manufacturing. This is her first novel, but not her last! She lives with her husband in Cassopolis, Michigan. They have three children and eleven grandchildren.